Summer is drawing to a close. Already, I’ve seen a few red leaves on the trees. Here at the library, we’ve had a very busy summer with our STREAM Reading program. This year, 2761 kids and teens participated – that’s up from 2667 last year. And for those who love numbers, just a little aside—in 2009 (only 5 years ago), we had 2252 signed up. That’s a 22% increase! So, yes, if you walked into your local library this summer and found it busy, there’s a reason why. We had over 700 kids and teens participating in our Kentville branch alone! You might have seen little fishes taped to walls, or stones outside in a pathway: these all represented the readers in our libraries. We changed our program this summer to incorporate more learning activities, and it has been met with positive feedback from many of you. We offered programs to play math games, did science experiments, created collages and glitter pictures, made crafts with old t-shirts, danced with our preschoolers, saw some reptiles, watched chemical reactions, raced toothbrush robots, created movies with LEGO, read lots of stories, and listened to great music. Many of our programs this summer were made possible because we received the CFUW Library Award! This award allowed us to offer great programs all over the valley. Our partners made the Summer STREAM even better. Upper Clements Parks has been a long-time partner for our summer program, offering a FREE Fast Pass for those who complete the program. Many of our families take advantage of this and visit the park each year. This partnership has been invaluable to the program and we are truly thankful to Upper Clements Parks for this great opportunity. Part of our partnership includes Word in the Park, two days near the end of the program when we have activities at the park. This year we had a StoryWalk challenge and gave away free books, and Clifford the big Red Dog came for a visit. This year we also added two Library Days at the Zoo in partnership with Oaklawn Farm Zoo. Once in July and once in August, everyone 18 and under got in free by showing their library card. We also did activities during the day and took our bookmobile out to the zoo. Thank you, thank you, thank you to our partners! Another activity that we loved was Finny the Fish. We asked you to print, color, and photograph our little fish. Finny went all over the world this summer! You can see Finny’s travels here. As a bonus, everyone that sent a picture was entered to win a One-year Family Pass to Nova Scotia Museums. We had lots of fun this summer, and we hope you did too. We’ll do it all again next year, and we look forward to playing and learning with you in Summer 2015. We'd love to hear your thoughts on the program, so tell us in the comments below! Are you wondering what kinds of apps would be beneficial to download onto your tablet, with either Android or Apple operating systems? We have some suggestions for you of FREE apps. Remember, FREE apps may have some advertising included. Some of these may already be on your device. They can all be found either at the Google Play Store or through iTunes. Read eBooks or listen to audiobooks from us for up to three weeks, FREE with this app. No late fees, titles will automatically be returned. Place holds and create a wish list. We have over 7,500 titles to choose from. Tutor.com To Go™ is the mobile companion for Tutor.com, and the only education app that connects you to an expert tutor for real-time help. Sign up for a free account with your library card. TuneIn is real radio. Discover, follow and listen to what’s most important to you from the world’s largest collection of sports, news, music and talk stations. TuneIn has over 100,000 real radio stations and more than four million podcasts from all over the world, all for free. There is a feature that searches for local stations where ever you are. The app is really easy to use. It allows you to quickly post pictures and share with others. It also gives you alerts when there is a message for you. It does take up a lot of space though, so consider that before loading. This is your personal magazine. Catch up on the news, read stories from around the world and browse videos, photos and articles that friends are sharing. 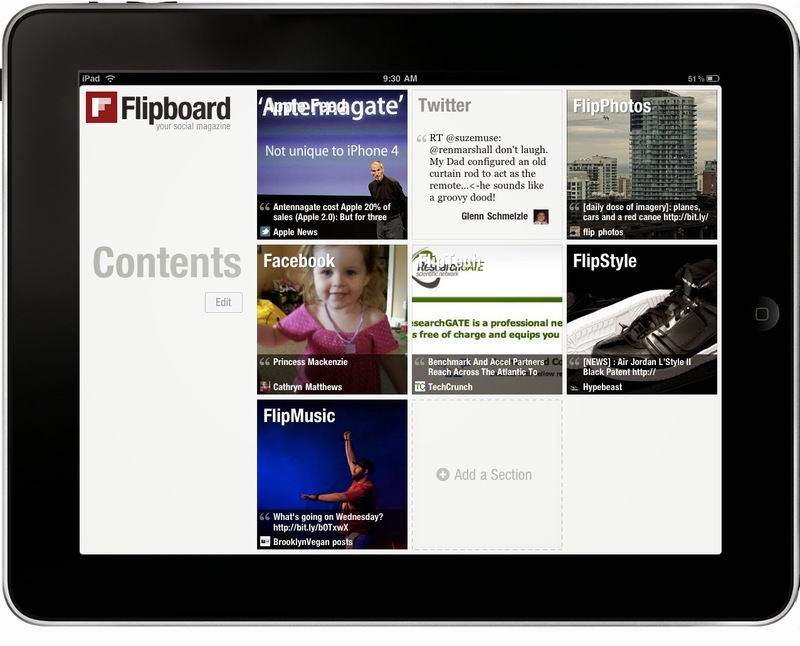 Add blogs and publications like The New York Times, PEOPLE magazine and many more. 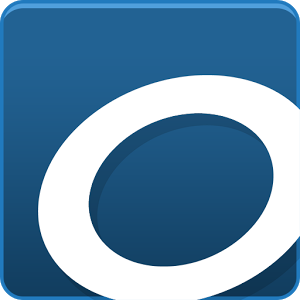 Create, edit and collaborate with others on documents from your phone or tablet. You can open, edit and save Microsoft Word documents. Never worry about losing your work, everything is automatically saved as you type. This is the official Office companion optimized for your mobile device. You can access, view and edit your Microsoft Word, Microsoft Excel and Microsoft PowerPoint documents. If you use this amazing tool of visual bookmarks, you will love the app. It makes pinning and sharing so much easier. By creating an account with Pinterest, you will discover ideas for all of your DYI projects and interests. Find amazing recipes, exercise workouts, knitting patterns, DYI projects of all kinds and much more. If you like music, you’ll love this. You can browse thousands of playlists by activity, genre, decade and mood. Free, with no listening limits. Some examples under playlists for activities are Breaking Up, Sitting on the Back Porch, Skateboarding, Pool Party and many more. Have all of your weather information and forecast details at your fingertips whenever you want it. There is a setting that automatically detects the forecast for your location wherever in North America you might be. This app includes weather alert banners that can be clicked on for detailed information. Quick and easy access to YouTube videos that are personalized “what to watch” recommendations based on your preferences. Play a never-ending mix of your favourite music videos. Browse the Internet fast on your phone or tablet with the Google Chrome browser you love on your desktop. Pick up where you left off on your other devices with tab sync, and search by voice. "I have had to improvise a sort of trellis ( I used wild sunflower stalks ) crisscrossing the tops of the bales to hold up branches. Plants got much bigger than I expected." Take a look at these tomato plants! You can barely even see the bale. It’s time for the third annual One Book Nova Scotia unity reading event! This is when adults in Nova Scotia are encouraged to read the same book, kind of like a giant book club. 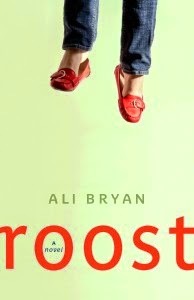 This year’s book is Roost by Ali Bryan and it is a funny, lighter read than the two previous selections. Set in Halifax and written by a Nova Scotian, Roost offers a comical and poignant look at single parenting, aging parents, and sibling rivalry. We’ve listened to participant feedback and this year we are revealing the title a little earlier than usual, so people can read it in the summer or fall, whichever is more convenient for them. The library has plenty of copies of Roost as well as a Book Club in a Bag kit with eight copies and discussion questions. 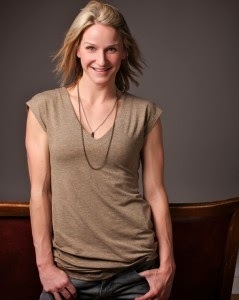 Ali Bryan will be featured on the Main Stage at The Word on the Street Book Festival in Halifax on Sunday, September 21, and then embark on a reading tour with six stops across the province thanks to funding from the Canada Council for the Arts. The Valley reading will be on Monday, September 22 at 7:00 p.m. at the NSCC Kingstec Campus Library in Kentville. Admission is free. For more information on One Book Nova Scotia check out http://1bns.ca or follow us on Facebook or Twitter @1BookNS. Summer brings with it the inevitable warnings with regards to heat, humidity, and smog. We have waited so long for some warm weather that it is easy to ignore an advisory or a warning about this, but we need to pay attention or the consequences can be serious. Air quality decreases during times of hot temperatures because the heat and sunlight essentially cook the air along with all the chemical compounds lingering within it. This chemical soup combines with the naturally occurring nitrogen oxide in the air, creating a “smog” of ground-level ozone gas. This makes breathing difficult for those who already have respiratory ailments or heart problems and can also make healthy people more susceptible to respiratory infections. One of the main things we hear about is the humidex. This site explains what the humidex is and how humidity affects us. 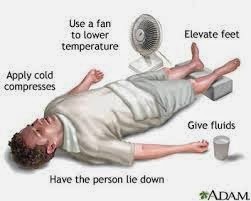 People with chronic medical conditions can be the first to suffer from high heat or humidity. If you are on a salt-reduced diet, profuse sweating from extreme heat can put you at risk. 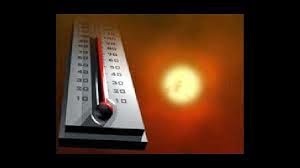 If you are working outside, heat stroke and heat exhaustion are common problems. Visiting the beach is often a time when we lose track of how long we have been out in the sun. Having access to the water and a cool breeze you can feel like you aren’t at risk, but the effects of sunstroke can show up unexpectedly. I am sure a lot of you have experienced that slightly nauseous feeling when you have spent a day in the sun. This is one of the symptoms of sunstroke. Make sure you keep hydrated! 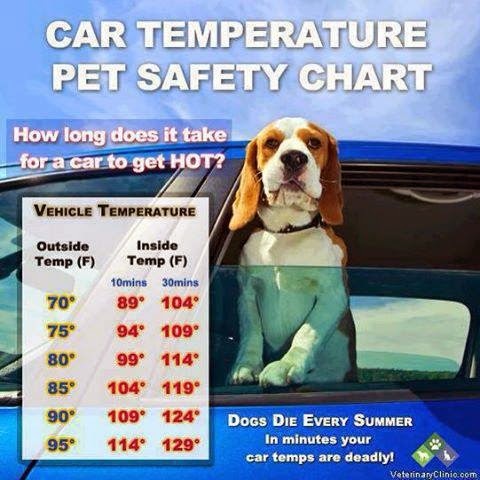 This goes for your pets as well. Watch for excessive panting, listlessness, or staggering. Make sure they have ample cold water and try and keep their temperature down with cool cloths. If it’s hot for you it’s hotter for them. So let’s all keep our cool and enjoy the summer.